The everyday stuff that hits many shipping docks may not be as organized, or to such a scale, but any operation that stores, ships or receives valuable items is at risk of being hit – or is already being hit to some degree. In the above case, an organized group of thieves working at a shipping dock would simply wait until after a supervisor finished checking outbound shipments and add more to them. Since the shipments sat on the docks for 90 minutes, it gave the pilferers plenty of time to work on this. They would place extra cases onto staged pallets and those would ship out on trucks driven by colluding drivers. The next day, the drivers would sell the extra product for cash and split the proceeds with their warehouse accomplices. The security company had to perform undercover operations to expose the ring. But what could have been done by process to reduce the ability of thieves to create such an operation? Several things, according to security expert Barry Brandman, president of Danbee Investigations at the recent WERC Conference. 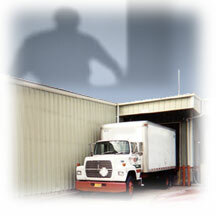 Reduce the ease with which warehouse workers can collude with truck drivers. Do they sit in the same break rooms? Smoke in the same area? Do they mingle easily? Make it easy and painless to report theft. Honest employees should have a very easy time reporting theft rings. Do you have any policy on this? Any rewards system? A culture that encourages it? Do you have an anonymous way for honest employees to report issues to you? Weed out substance abusers. 90 percent of abusers steal or deal to support their habit. Watch out for disgruntled workers – they are much likelier to commit theft in your warehouse. Don’t allow orders to be picked and stage far in advance. This provides the perfect vehicle for thieves to steal easily and relatively risk free. Things are checked out at this point, so it is terrifically vulnerable. Consider a segmented staging area, where staged pallets are stored, but where people are not allowed. This area could be partitioned off, or simply marked off and watched for violations. Consider “man trap” driver cages or a separate lounge and other facilities to reduce contact between drivers and dishonest area employees. Lock away the most at-risk inventory. Don’t just store it in regular racks. The thieves in this case were able to access inventory very easily to place it in the outgoing shipments. Identify higher-risk items and lock them away in secure storage areas, wire cages, and other secure storage media. Shrink wrap staged pallets and mark them as ready to go. This forces thieves to unwrap and re-wrap pallets in order to add pilfered merchandise, making it riskier and more difficult.